Explore all posts about the world of Delfaerune. 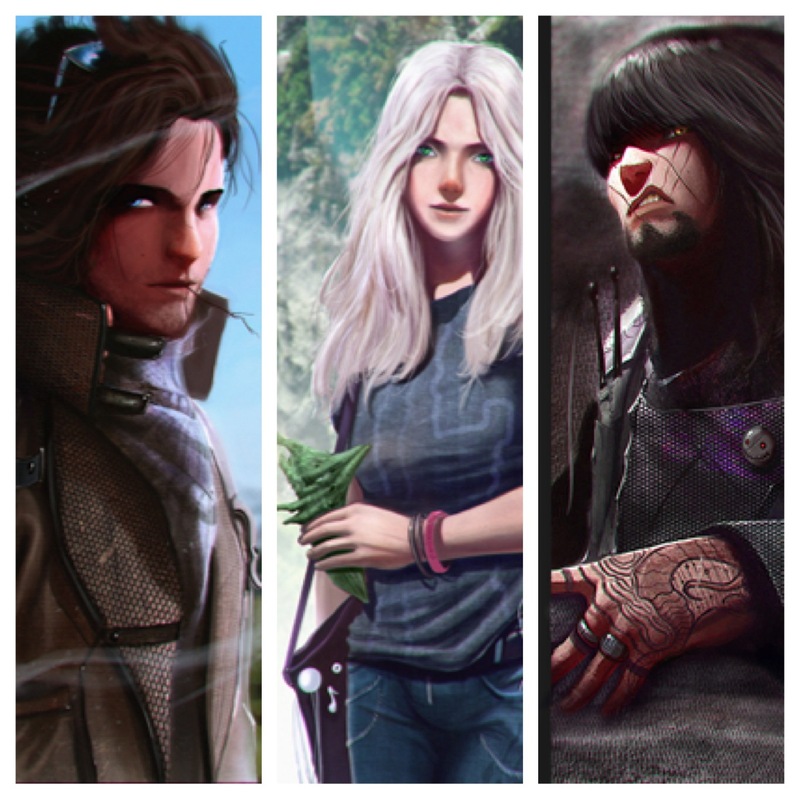 Main characters from my series-in-progress: hero Nick Stone, heroine Lark Turehu and antagonist Mikk Stone. Art by John Taylor. A teenage New Zealander discovers she’s the “Maestra” in the realm of Delfaerune. She’s the only Noble Fae with the musical prowess and a strong enough Earth connection to save humans from destruction at the hands of Dark Fae magic. With the help of Noel—her music teacher and brother of the leader of the Dark Fae conspiracy—can she retrieve and master three mystical ancient instruments in time to save her worlds? I’m looking for your input, ideas, constructive criticism and loving participation from conception to published works. Will you join me in this writing journey? Ask me how. A tale about Lark Tūrehu, a lanky, white-haired, 18-year-old musical prodigy in Queenstown, New Zealand who finds out she’s actually a Noble Fae from the realm of Delfaerune. Her unlikely mentor Noel Stone (“knoll”) is a 6’7″, blue-eyed, 20-year-old, Dark-Fae-turned-Noble sheep shearer and music director. The Fae are inspired by those in the ancient Celtic tradition: extremely tall and willowy, no wings, and magic users. The Dark Fae in the series pattern themselves after burned-out human rock stars. Music and magic link the human and Fae realms (Delfaerune), which exist simultaneously on different planar levels. Follow the series on Google+.